Spring has arrived and that means it’s finale season. ABC just announced their season finale schedule for April, which includes the season three finale of Speechless and the season five finale of Fresh Off the Boat. Next month will also see the season two finale of Splitting Up Together (April 9th at 9:30 p.m. ET/PT) and the season one finale of The Rookie (April 16th at 10 p.m. ET/PT). It’s unclear if any of these season finales will also be series finales for the ABC TV shows. All four, especially Speechless and Fresh Off the Boat, have slipped in the ratings over the course of the 2018-19 season. ABC has yet to announce any renewals or cancellations, so time will tell. 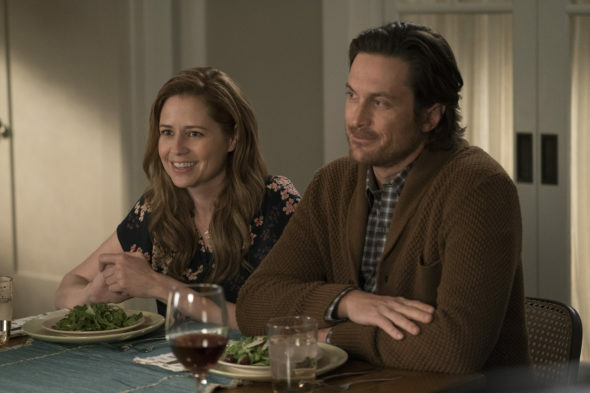 “Splitting Up Together” (9:30-10:00 p.m.) – “Coming Home” – Milo complains that Grandparents Day is coming up at school and doesn’t feel Henry is interesting enough to participate. Lena and the kids urge Martin to reconnect with his long-estranged father, Brock (guest star Ron Perlman), to rebuild their relationship. Meanwhile, Lisa continues to struggle financially and considers moving back home with her parents. Elsewhere, after listening to a true crime podcast, Maya worries that Frank has a dark past he has been hiding. What do you think? Do you watch any of these ABC TV shows? Do you hope they get renewed? More about: ABC TV shows: canceled or renewed?, Fresh Off The Boat, Fresh Off The Boat: canceled or renewed?, Speechless, Speechless: canceled or renewed?, Splitting Up Together, Splitting Up Together: canceled or renewed?, The Rookie, The Rookie: canceled or renewed? I really like The Rookie and hope it is renewed.